The apartment is situated in a villa in a green residential area. You have your own bedrom and share kitchen, bathroom and livingroom with one other student. The house is just a few minutes walk from both shopping and restaurants. 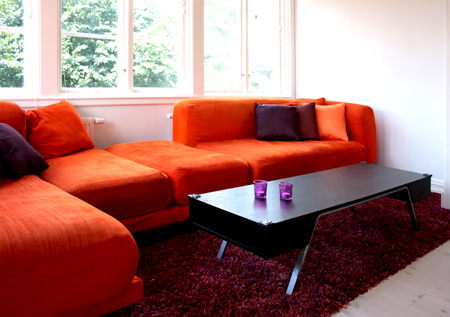 For your convenience the apartment is fully equipped with everything a household would need. You don’t have to bring bed-linnens or towels etc. All is included! When you first arrive, we will arrange free pick-up at either Karlskrona train station or at Kallinge Airport in Ronneby. Buses to BTH campus area goes from just outside the house. It will take you about 15 minutes to go to campus or to Karlskrona city centre. Rent is 3495 SEK per month / per person. The rent includes all costs for heating, electricity, Wi-Fi, water etc.